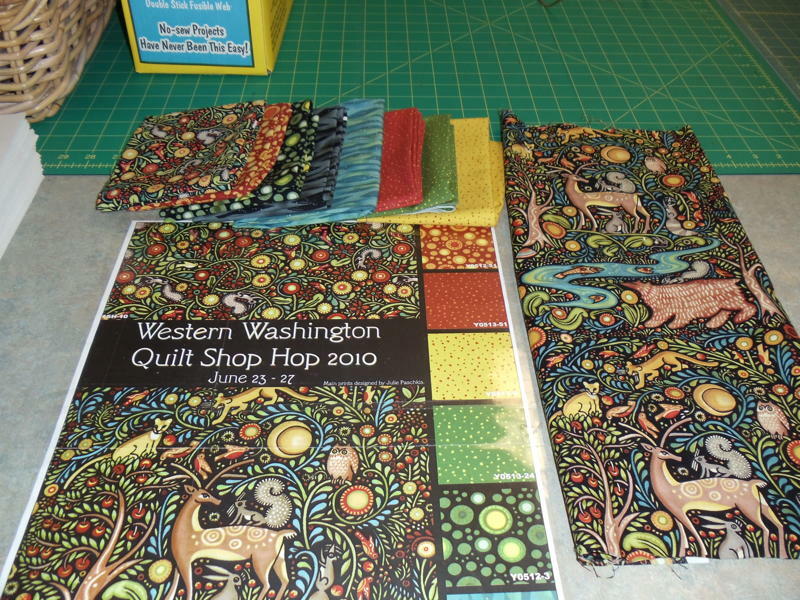 My visit to Evergreeen Quilting in Tacoma, Washington in late April was a treat. The street was lined with trees in bloom, which was quite lovely. Pulling up to the plain storefront belied the colorful, contemporary fabrics inside. Quilting is BIG in Washington, I’ve learned. The local Shop Hop has over 50 participating stores in the greater area. They even have a fabric line commemorating the event each year, by In The Beginning Fabrics and Clothworks. 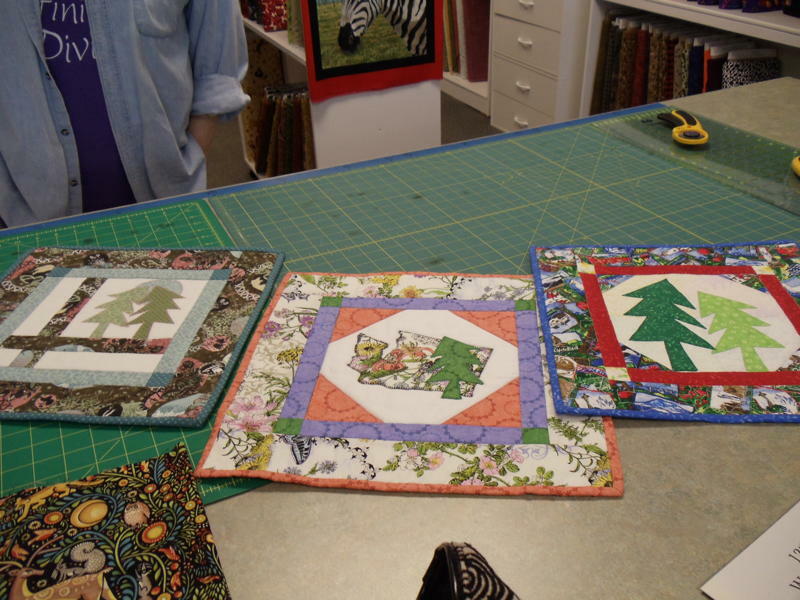 As you can see this years’ fabric depicts forest animals in honor of the Pacific Northwest area. Each participant receives a pattern and three of the fabrics for the block. Here are some block examples from prior years. It was a quiet morning, so I got to spend a little time with the owner, Judy. 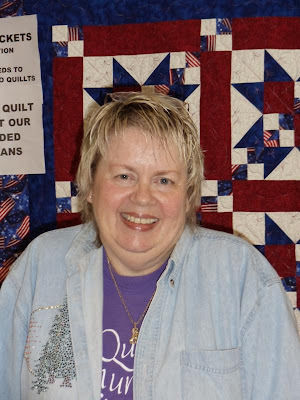 She is warm, welcoming and Passionate about quilting. Apparently, her stash was taking over the house, so her husband said it was time to open a shop….Sounds good to me! She’s kept her day job as a neonatal nurse, so between the shop and her job she’s worked about 7 days a week for the past four years. As she was ringing up my purchases she handed me a yummy chocolate stick saying something about chocolate and quilting going hand-in-hand….I couldn’t agree more. The store is beautifully organized and carries the most up-to-date, contemporary fabrics. 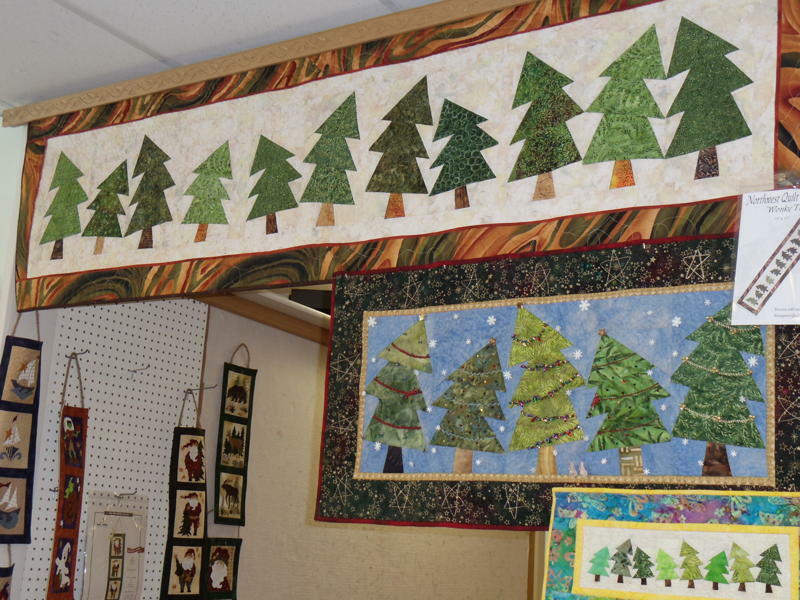 She’s even designed some of her own patterns, see her “Wonky Pine Tree Runner”. It looks especially cute with the strings of beads and other embellishments depicting Christmas lights! Say Hi to Judy for me!